Are you planning on moving in the near future? If so, there’s a lot to be excited about; however, there’s also a tremendous amount of things that need to be attended to. Your previous home has to sell and you need time to get your new space ready. To alleviate some of the stress that comes along with moving, you might want to consider renting a self-storage unit. Doing so can really help to make the process of moving a lot more bearable so that you can focus on all of the excitement without having to worry about the stress of what to do with your belongings while you’re trying to sell and get settled. 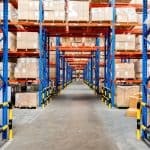 If you live in the Long Island, Queens, & NYC area, read on to find out why you should consider using a Long Island storage warehouse – and how Avatar Relocation can help. Sell your existing home faster. If you’re putting your existing home up on the market, you want to make it as appealing to prospective buyers as possible. The less “stuff” you have in your home, the better. But where are you going to store all of those excess and personalized furnishings? A self-storage unit is an excellent solution. You’ll be able to tuck your belongings away in a safe and secure location while your house is up on the market, and hopefully, you’ll sell it faster (and get top dollar, too!). Flexibility for your move. Perhaps your new home isn’t quite ready to move into, but your existing home has already sold; or, maybe you just want to take your time moving into your new space. Either way, moving and storage service will make the moving process a lot more flexible. You won’t have to deal with furniture and boxes while you try to get carpeting laid, retile the kitchen, or install a new bathroom; you won’t have to worry about tripping over things while you try to figure out where they go. Using a self-storage unit while you move means that you’ll be able to take your time and make your new house your new home! Convenience. Without a doubt, one of the biggest advantages of using a storage service for your move is the convenience that it provides. For example, if you’re moving from one state to another, a long-distance household storage service will give you a space to keep your personal effects while you search for the perfect home; or, if you’re just relocating a few towns over, you’ll have a place to put the boxes you’ve packed up until moving day arrives. You won’t have to worry about tripping over boxes, appliances, furniture, and accessories or deal with the stress of wondering where to keep your stuff when you’re in limbo. Simplicity. Lastly, taking advantage of a storage warehouse will make the actual process of moving a lot easier. Whether you’re planning on hiring a professional or you will be doing it yourself, moving day will be a lot less stressful when your belongings are packed away in a central location. It completely eliminates the need to walk up and down flights of stairs and navigate awkward doorways and twists and turns. Instead, all you have to do is open up the door to the storage unit and start emptying things out of one space as opposed to multiple areas. Using a storage unit will make your move less stressful; plus, it will go a lot faster. These are just some of the benefits that a storage service can provide you when you’re moving. Whether you only have a handful of items or years worth of furnishings and personal effects that you need to store, if you’re searching for “storage services near me”, Avatar Relocation offers several storage moving solutions that will fit your specific needs. As an Atlas Van Lines Quality Focus Award winning agent, Avatar Relocation offers a variety of moving and storage services for Long Island, Queens, & NYC. Our highly trained staff of professionals will be able to assist with all aspects of moving and storing your belongings so that you can enjoy the most stress-free move possible. Fully licensed and insured, Avatar specializes in relocation services throughout the New York area, as well as the continental United States. Local moving and storage for Long Island, Queens, & NYC. Whether you’re located in Montauk, Manhattan, or anywhere in between, we’ll assist you with all phases of moving and storage. Long-distance moving services. Moving out of state? Avatar can help! We offer long-distance moving services throughout the continental United States. In fact, our trucks make trips to North Carolina, South Carolina, Georgia, and Florida on a weekly basis; but even if you’re moving the Midwest, the Southwest, the West Coast, or anywhere else within the continental US, we can assist you, too. No matter where you are relocating, we’ll be happy to help arrange moving and storage for your long distance move. Packing and crating. Don’t feel like packing up all of your belongings? No problem! Leave it to us! Our professionals are highly experienced with all facets of packing and crating and will ensure that your belongings are packed and stored properly so that they’ll make it to your new home safely. Door-to-door moving. Let us take charge of moving day! We offer loading, transportation, and unloading services, which means that you can sit back, relax, and leave the heavy lifting to us! Moving can be overwhelming, but when Avatar Relocation is on the job, you can have peace of mind knowing that your belongings will be safely transported and stored. Our professionals are committed to making the moving process as painless as possible. We have helped countless residents of Suffolk County, Nassau County, and New York City pack, transport, store, and even set up their belongings in their new homes. We use the most advanced tools and proven strategies to deliver exemplary services. To find out more about how we can help simplify your transition from one home to the next and make the entire moving process – from start to finish – as enjoyable as possible. To speak to a representative, learn more about our services, or request a free estimate, contact us today! Call 631.775.9815 or visit Avatar-Moving.com to learn more. One of our helpful associates will be standing by to assist you. We look forward to working with you and taking the stress out of moving.